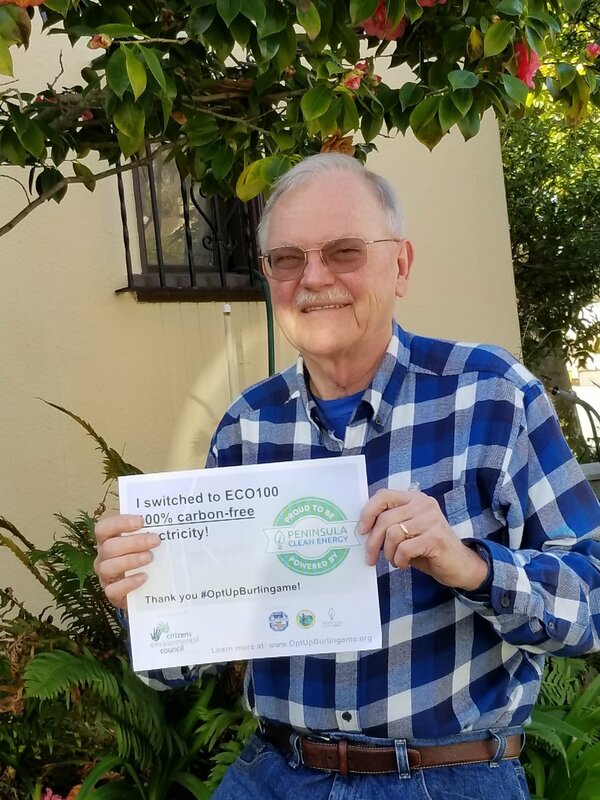 Steven is a 29 year Burlingame resident and current member of the Citizens Environmental Council (CEC) of Burlingame. Why did you opt up: We are currently unable to install solar panels. ECO100 gives us the opportunity to use clean energy. Next sustainability commitment: Increased insulation in an older house to more efficiently use our energy.